I love campervans and all the associated memorabilia. But there are only so many caravan cards you can buy for other people before they think you’re a bit obsessed. How could I resist this one though? It has gingham – and bunting! So I bought it to hang up anyway. 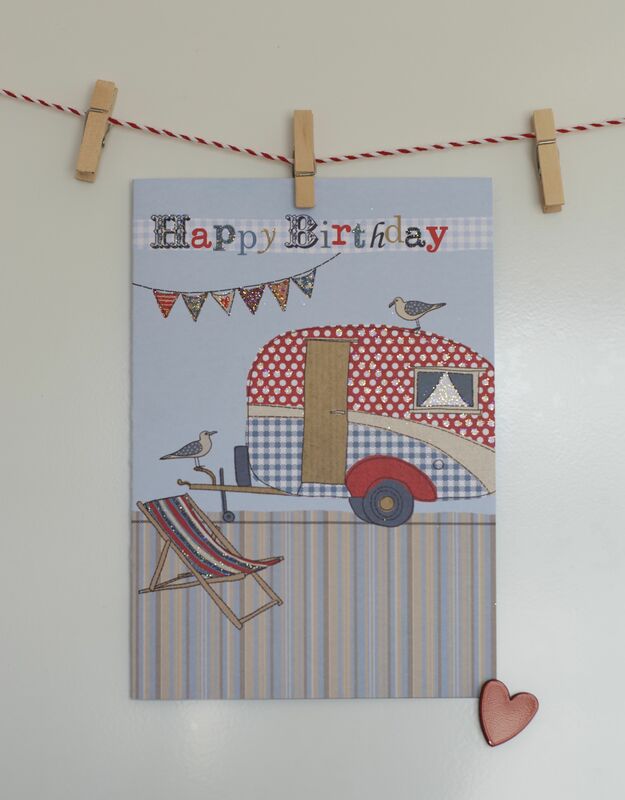 This entry was posted in Campervan life and tagged campervan birthday card, caravan birthday card by Rach. Bookmark the permalink.